What is DivX? 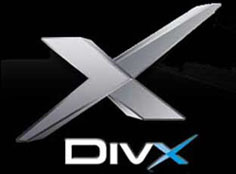 DivX is an enhanced video codec originally created by Microsoft. It is based on the MPEG 4. By combining MPEG 4 and MP3 sound, these video formats are digital quality. The best part about this codec is that it offers a 10:1 compression ration. This means that if you have a 10 MB video file, DivX changes the file size to 1 MB. DivX got its name from a product released by circuit city that allowed people to buy DVD movies for a cheaper price and view them for a certain time period, after that period expired, the disc would no longer play. Microsoft originally developed the codec with an .AVI lock. This was supposed to block people from ripping movies to AVI for web distribution. 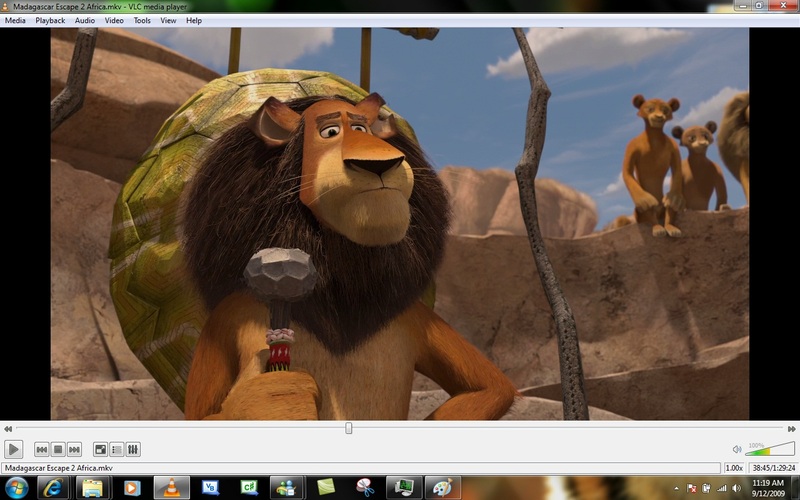 Now using the best Mac DivX Player to play DivX encoded video and DivX files. DivX player for Mac 7 is Mac DivX video creation & Mac DivX Player & Mac DivX Player suite with all the tools you need to create and play DivX video files on the Mac OS X. DivX for Mac 7 includes the DivX Player, DivX Web Player, DivX Community Codec, DivX Converter and DivX Pro Codec support. DivX for Mac 7 is a free download that provides everything you need to enjoy high-quality digital videos on Mac OS X PC, DivX for Mac 7 including high definition H.264 (.mkv) videos with AAC audio and videos created using all previous versions of DivX technology. MacVCD is a great software to play AVI files. It discover the easy way to play VCD, and almost everything else with this easy to use media player for Mac OS 8/9. MacVCD plays VCD, DivX, AVI, MPEG, video, Quicktime movies and more. MacVCD offers all the playback features you need and the ease of use you really want from a video player. With Video CD Format recognition, you can play VCDs in just one step. You can also play all your other movies - XVCD, DivX, AVI, MPEG, video, Quicktime movies and more. Use the screen display you prefer - full screen display, or small screen display, or show on your TV. Get the features you want - movie saving, track selection and repeat track features, multi-language and karaoke VCD support with this easy to use video player. 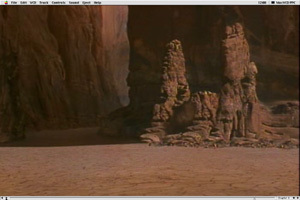 Chroma Player For Mac is a movie player for Mac optimized for playing feature movies. It plays DVD, QuickTime, DivX, AVIs, XviD, MKV and Windows Media files. Chroma Player For Mac contains optimized codecs for MPEG4, DivX, XviD, 3ivx and MS-MPEG4. It plays QuickTime movies. It plays Windows Media WMV's with Flip4Mac's components. It does AVI subtitles. It plays DVDs. 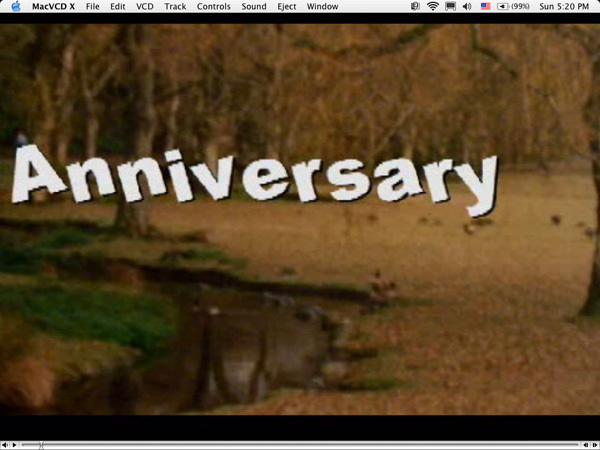 It has windowed, fullscreen and overlay presentations. DivX, 3ivX, XviD and MPEG4 are all codecs commonly found in AVI movies, as well as some QuickTime movies. Chroma has built-in support to play these common formats, as well as several codecs found in older AVIs. 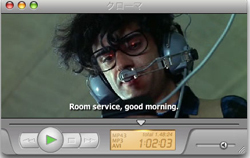 VLC Media Player for Mac OS X (initially VideoLAN Client) is a highly portable multimedia player for various audio and video formats, including Matroska (MKV) MPEG-1, MPEG-2, MPEG-4, DivX, MP3, and OGG, as well as for DVDs, VCDs, and various streaming protocols. It also can be used as a server for unicast or multicast streams in IPv4 or IPv6 on a high-bandwidth network. MacVCD X is easy to use video media player for Mac OS X. MacVCD X plays VCD, SVCD, XVCD, SXVCD, AVI, DivX, xVID, MPEG, WMV, iMovie, video, Quicktime movies and more. Use the screen display you prefer - full screen display, small screen display (floating or regular window), or show on your TV. 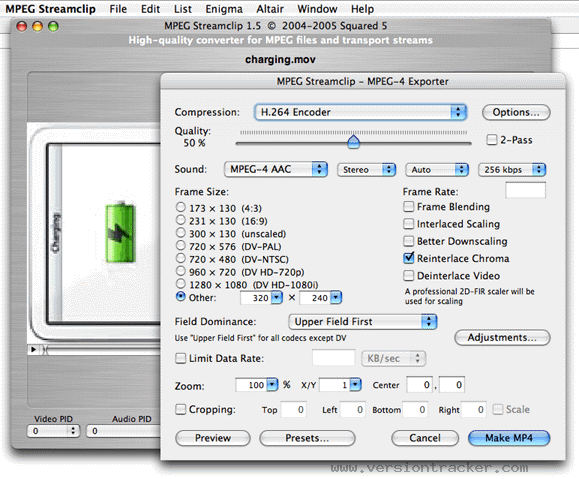 Using MPEG in Mac OS X is now easier than ever with MPEG Streamclip!